Do you like buttermilk? I remember my mother mixing in a spoonful of sugar and drinking it. I could never understand how she could do that. To me it was the most disgusting thing to drink ever. Even now I take a whiff of it and can’t imagine anyone enjoying a glass of it. However, it is an important ingredient in some recipes, including a cake I baked a couple of weeks ago for a friend’s birthday. The trouble is, you can’t buy just one cup of buttermilk. The smallest carton size I could find was a pint, which is around two cups, so of course I had half of it left over. For almost two weeks that half full carton of buttermilk sat in the fridge. It has an amazing shelf life. Whenever I opened the fridge, the carton would stare at me. I’d check the best-before date—Dec. 3—and put it back. What was I waiting for, I’d ask myself. To let it go bad so I could throw it out? This recipe makes a wonderful pound cake that I enhanced by adding chopped dried apricots. A slice with a cup of tea is divine. And I no longer have a carton of buttermilk in the fridge. Yay! Do you ever bake a cake for no reason? 1. Preheat oven to 325°. Grease and flour a 10-inch fluted tube pan. 2. In a large bowl, cream butter and sugar until light and fluffy. Add eggs, one at a time, beating well after each addition. Stir in the vanilla. 3. Combine flour, baking soda, and chopped apricots; add alternately with the buttermilk, starting and ending with the flour. Beat well. 4. Pour into prepared pan. Bake at 325° for 70 minutes, or until a toothpick inserted near the centre comes out clean. 5. Cool in pan for 15 minutes before removing it to a wire rack to cool completely. 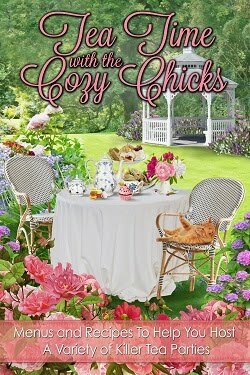 ***I've been very fortunate to have been able to be a part of the Cozy Chicks blogs every month for the past couple of years. My stint is up and today is my last Lucy's Cozy Cuisine post. Thank you for reading and commenting on my recipes. I hope you've found a few that you enjoy. 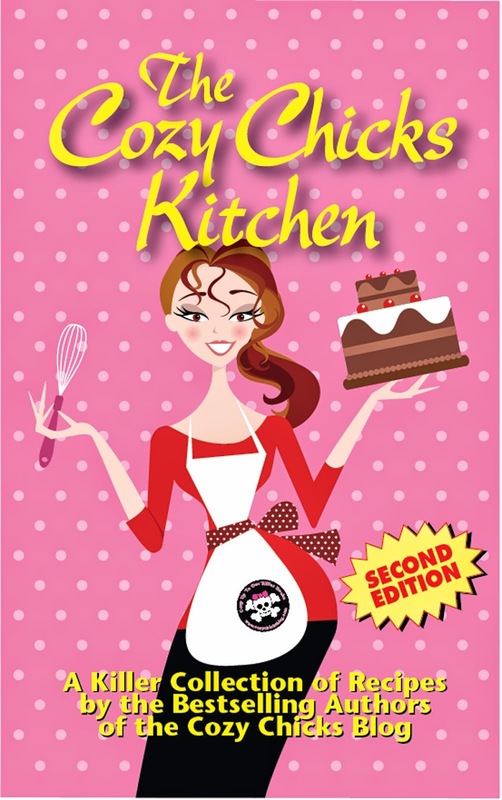 Posting Lucy's Cozy Cuisine has been lots of fun and I will miss my monthly visit with the Cozy Chick authors. Thanks for tuning in! You can buy dry buttermilk made by Real. It works just as well and you don't have that buttermilk sitting on your conscience. Will miss your recipes Lucy! Every now and then I will just get a taste for cake, not good when your dieting but. So yes I bake cakes just because. 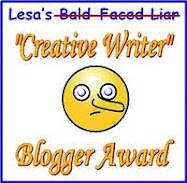 Thanks for your post Lucy, although I never bake, I enjoyed reading it. And I would not have discovered your books if you had not posted on this blog. I do hope you will write many more that I can enjoy. Dry buttermilk sounds like a great solution! I'll keep my eye out for some. Thanks, Dru. I'll miss posting them. Yes, cake (and cookies) are always my dieting downfall!